Well the title says it all. The Agent’s Smartwatch is a project by Secret Lab team which initially pledged about $100,000 but just in few days there are over 2,500 people who backed this project for over $467,000 from their pockets and 27 more funding day to go as we are writing it. According to the details, Agent Smart Watch works in conjunction with your existing smartphone which can be either your iPhone or Android smartphone. It displays call alerts, SMS messages and several other apps are built into it. It even alerts the users if he or she has accidentally left behind their cell phone. 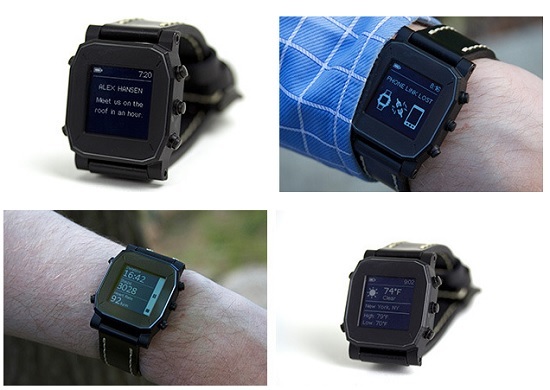 The Agent Smart Watch has dual-processors and a 1.28″ backlit display. It has Bluetooth 4.0 LE support plus a variety of built-in sensors. Its internal battery is expected to last for entire week or up to 30 days when used only as a watch. It supports wireless charging via Qi charger. The Agent Smart Watch has an MSRP of about $249 plus another $50 for the wireless charger. Initial project backers will of course get a discount depending upon the amount of money backed. The funding of this project will end on 20th Jun 2013. Copyright© 2019 Toolsmust.com All right reserved.